Growing anger and irritation is observed between Pakistan Tehreek-e-Insaf (PTI) positions over Punjab government appointment which are taking place in violation of a list presented three months ago. Additional General Secretary of PTI, Ejaz Chaudhary briefed the leadership regarding the reservations of members over the issue on Saturday. 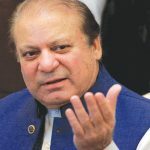 The party leadership has already delayed the appointments and due to this delay, many party leaders of different regions have made their own organizational bodies and appointed office-bearers to run them. A notification for dissolving these bodies was issued by PTI General Secretary Arshad. He said that these bodies were formed in violation of the party constitution. Earlier some reports claimed that Chaudhary was resigning in protest against the appointment of individuals who were not on the list prepared. Initially, the government planned to appoint Bilal Aijaz of Gujranwala as the chairman of the Zakat and Ushr committee. 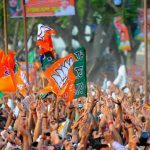 Sources suggested that the party members have collectively agreed to appoint Noor Khan Bhabha to the post. This was also told that when Prime Minister Imran Khan visited Lahore, he directed the chief minister to appoint Aijaz on this post. The list which was prepared by a committee of party leaders and headed by Arshad Dad only had one to two names which were approved for the appointment. The other positions mentioned are either vacant or the people who were not on the list have been appointed. 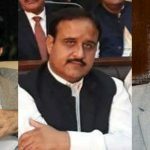 Further details revealed that there is a divide between Chief Minister Usman Buzdar and Governor Chaudhry Sarwar over the matter of appointments.